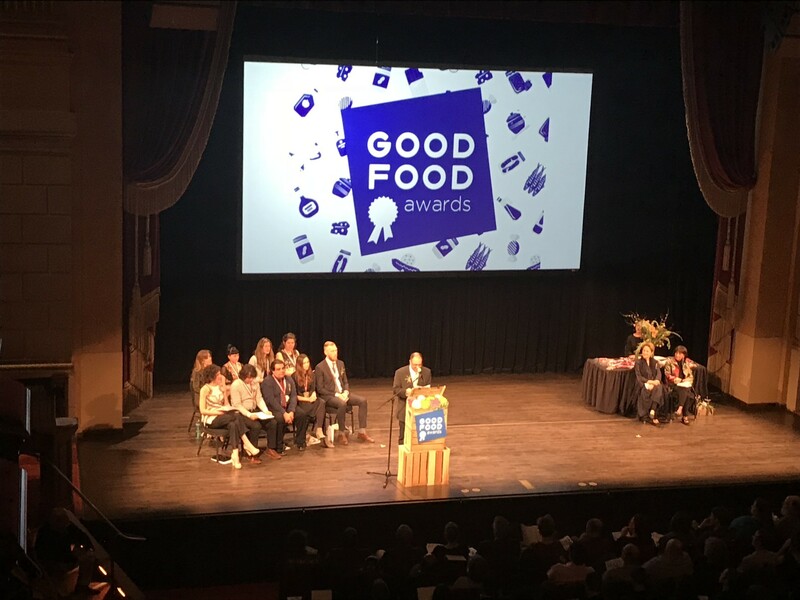 One of our favorite ways to spend a Friday evening is celebrating food activism– so we completely lucked out on January 19th, when HRN had a front row seat at the Good Food Awards. This is the 8th year that the organization has spotlighted the many food producers across the country who are currently excelling at social good and sustainability, while also creating delicious food. 199 winners– from 15 different categories– received medals, and along the way, we also heard inspirational speeches from some of the winners, plus icons Alice Waters, Madhur Jaffrey, and Sarah Weiner, founder of the Good Food Awards, emceed by the one and only Sam Mogannam of Bi-Rite Market. Tune in to hear these speeches and more from the ceremony.